Warby Parker is a brand- and customer-centric online retailer for stylish and cheap eyewear. Customer buys one pair of glasses and donates another to someone in need via VisionSpring. The company was founded in 2010 by Neil Blumenthal, Andrew Hunt, David Gilboa, and Jeffrey Raider. Their problem: Glasses were too expensive. At that time, the eyewear industry was dominated by a single company that dictated prices. Moreover, many people worldwide who were in need of glasses could not afford them. Therefore they started Warby Parker in order to create a cheaper alternative and cooperate with organizations to help poor people. Warby Parker was called the Netflix of eyewear. In 2015 the value of the company was $1.2 billion. Warby Parker is a US-based brand and retailer for stylish, high-end prescription eyewear and sunglasses. They offer a quality product at a price that wildly undercuts the competition. Customers buy one pair of glasses and donate a second one to someone in need. This helped the company to have a unique selling proposition and increase its popularity. Low price but high quality can be achieved by vertical integration and cutting out the middleman: they design the glasses in-house and sell them directly to their customers (most brands do not design and manufacture themselves). Moreover the company is very conscious about their brand and value perception by the customer: every touchpoint in the customer journey is thoroughly designed. US-based customers buy their glasses via an online shop and a few brick-and-mortar shops, while add-ons can be bought via phone. When Warby Parker started, selling glasses online was disruptive. instead of giving away free eyeglasses, Warby Parker donates the glasses to VisionSpring and they supply them to local entrepreneurs to sell the glasses to their neighbors. VisionSpring trains local entrepreneurs and partners – in June 2014 they already gave away one million free glasses. 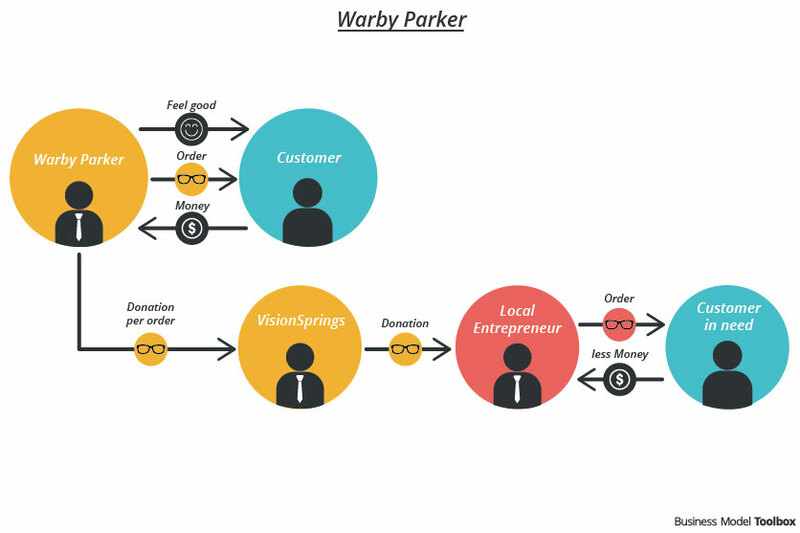 Warby Parker gains revenue directly from their customers by cutting out the middle man. To cross-finance donations to people in need they follow the idea: for every glass sold they donate another pair. 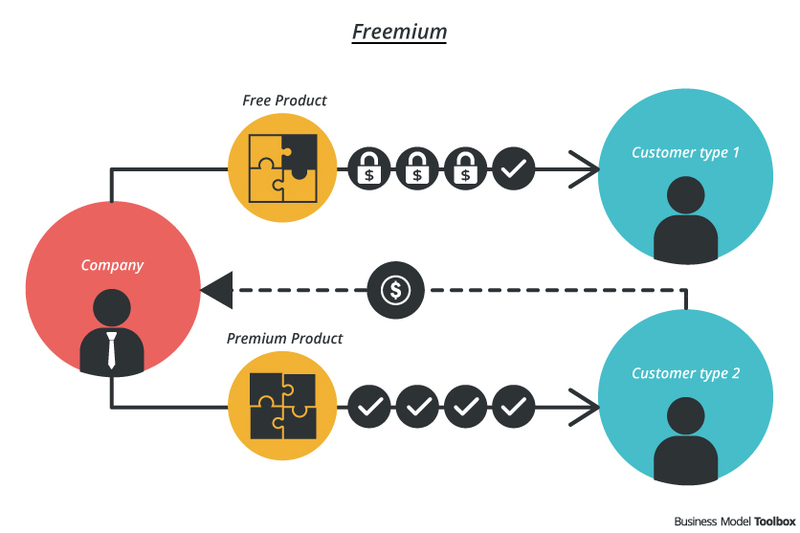 Customer centricity is one of the core elements for the organization. Board member Joel Cutler says: “ If you’re building this lifestyle brand, you need wonderful people to develop a relationship with your customers.“. Moreover, doing good for every stakeholder is deeply rooted in the organization of Warby Parker. Besides their customer orientation, they are one of the few carbon-neutral brands for eyewear. The company has the status of a “B-corporation“. Finding a good balance between doing good and chasing for profits can be a challenge. In this context Warby Parker is in the discussion to pay too low wages to their employees. Donating can create dependencies. Therefore it is important to not donate but support poor people in order to create business structures. 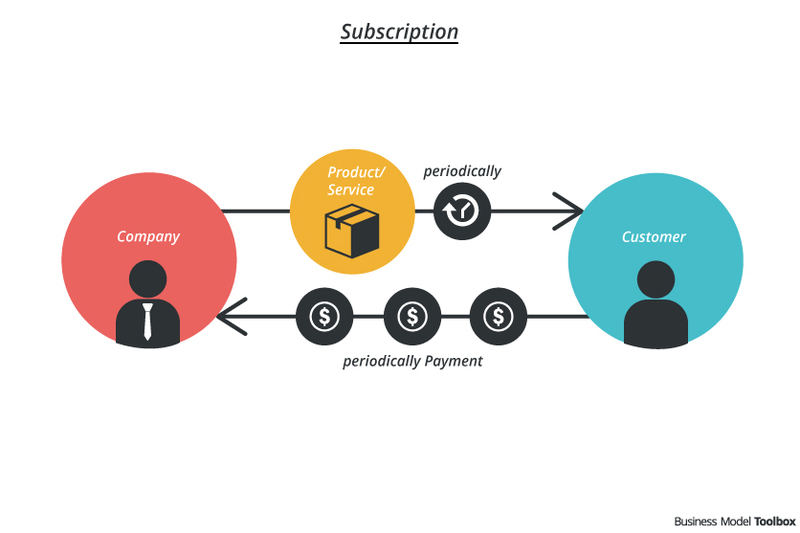 Creating a customer oriented organization needs adaption and review all the time because there are always aspects to learn more about the customers’ needs and how to fulfill them as good as possible throughout all steps of the value formation. Best-practice example for customer orientation.